2 of 5 Advanced Examples included in the Bioloid Premium Kit. 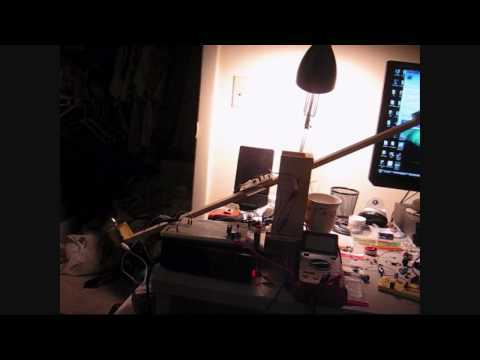 Videos provided by Robotis Inc.
My first attempt at designing a PID controller. It’s a basic level with a motor and a propeller on one end to act as a balanced beam. Using an Arduino board, measurements of tilt were taken with a mesmic accelerometer. The arduino board was then programmed as a PID controller dampening any disturbance to the lever. I’m currently in the process of designing another arduino PID Controller which will have a significantly better responce to disturbances. I should, hopefully, have a new video up within the next couple of weeks detailing the new pid controller. 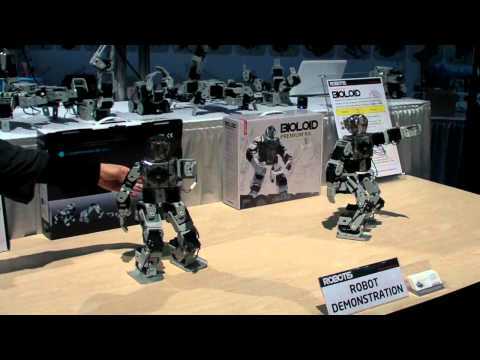 We stopped by the Robotics booth at Toy fair and found all these amazing DIY robots your kids can build and program.